PDJobs.com Job Openings in the Best Police Agencies! Apply for Police Officer Positions Using Our Updated Job Listings. In our opinion - these police departments have the best Reputation for Professionalism and some of the Highest Salaries. We review and choose which agencies to include - they do not pay for placement on this list. Featuring - Free Police Entrance Exam and Free Resume Writing Book with Sample Resumes and Cover Letters. Sign up for our newsletter below! 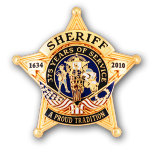 We have 50 years of experience in law enforcement, and 30+ years experience in writing tests and assessments for Police Officers, Deputy Sheriffs and law enforcement agencies from all around the country. These positions are reviewed and hand-picked - not just a database download like other police job sites. We make sure only worthwhile agencies are represented. These are full-time, non-seasonal, well paying positions! These are only our recommendations. Other agencies may be equally worthy. It is up to you to thoroughly investigate all the agencies you are applying to in order to ensure they are a good fit for your career goals. Postings were updated on March 28, 2019. Start applying - and good luck! Scroll down for the police job openings for entry-level positions(not in any particular order) for the departments we consider among the most professional and best paying law enforcement agencies in the nation. If you find any of these links for police entry jobs not working or the position filled, or have any problem whatsoever, please email us the details. Signing Bonus - This blue star indicates that there may be a Signing Bonus attached to this job opening. Other agencies may also have one, but may not let a signing bonus be generally known, but may offer it only to select recruits. Restrictions may apply. Make sure you ASK - and CONFIRM - any information about a signing bonus ahead of applying with an agency. Even though it may show the closing date has passed, send your application, resume or contact information in to them anyway. After the "closing date" applicants drop out or are eliminated at the last minute, or fail out of the academy in the first few weeks. Happens all the time. The person in charge of applicant processing (I did that job for 5 years, so I know!) will scramble to fill the positions - make sure you are the one they contact! Have in your possession a top-quality law enforcement resume at every point in the process. Hand it to everyone you meet who might be able to help in your job search. Here are police officer jobs for entry-level positions in the departments we consider among the most professional and best paying law enforcement agencies in the nation. Police Agency Representatives ... There is NO CHARGE to list your job opening with us ... Contact Us with the details of the open positions in your agency, and a name and phone number for the contact person to speak with on the phone.